For many Singaporeans, a trip to Malaysia often stops at crossing the causeway to Johor Bahru. However, hop on a short flight and discover scenic spots that will change your view of our closest neighbour. Sipadan is the only oceanic island in Malaysia and is one of the best dive sites in the world. Meticulously protected against human pollution, marine life is diverse and vibrant. Visibility is best from April to June, allowing divers to swim next to schools of tuna, sea turtles and sharks. Unfortunately, Sipadan is not one of the easiest places to get to. You will need to take a flight to Tawau followed by a one-hour taxi ride to the small town nearby. Sipadan Island itself is only accessible via a jetty. You also need an advanced diving permit, so book early to avoid disappointment. 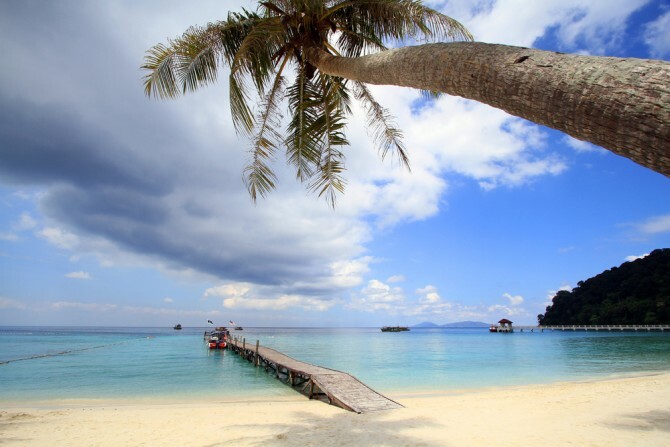 For a more accessible alternative, head to Redang Island instead. Not to be confused with the delicious Malaysian curry dish Rendang, Redang Island is 80 minutes away from Singapore by plane. 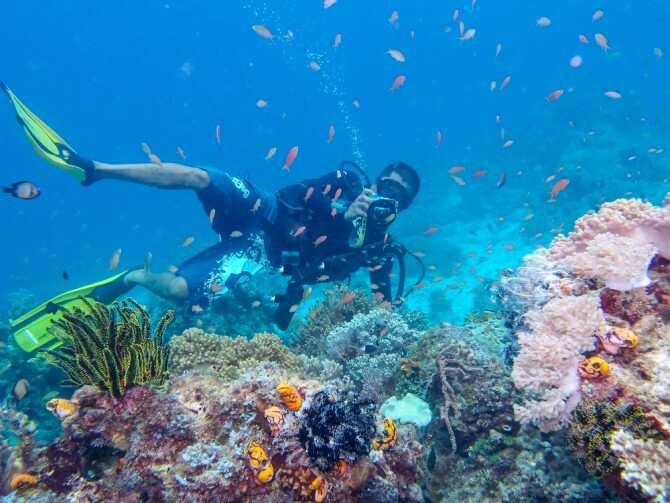 Its clear waters contain hundreds of live coral species and thousands of marine animals including manta rays, stingrays and sharks. This island has 31 spectacular dive sites, including two historic World War II shipwreck and a black coral garden. 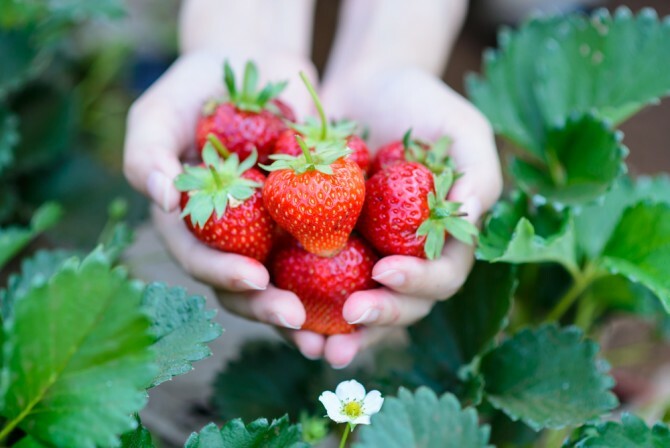 From May to August, visit Cameron Highlands and try your hand at picking fresh strawberries. Visitors need only pay RM60 for every kilogram of strawberries they pick. Strawberries are a huge part of local culture as the cooler temperatures allow the fruit to be grown year round. Don’t forget to pick up other strawberry themed souvenirs like strawberry jam and even strawberry scented pillows. The Islamic Arts Museum houses more than seven thousand artefacts, from intricate jewellery to one of the world’s largest scale model of the Masjid al-Haram in Mecca. 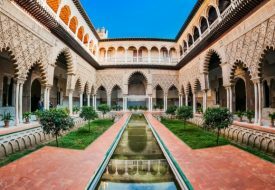 The museum aims to be a place that houses collections that are genuinely representative of the Islamic world, including pieces from Asian and smaller Muslim communities. The Baba & Nyonya Heritage Museum located in Melaka is a World UNESCO Site that showcases the home of Baba Chan Cheng Siew who lived from 1865 to 1919. The sophisticated home offers insight into rich Peranakan culture and the opulence of pre-World War II Peranakan homes. Similarly, Pinang Peranakan Mansion located in Penang also offers a peek into the typical home of a rich Baba. 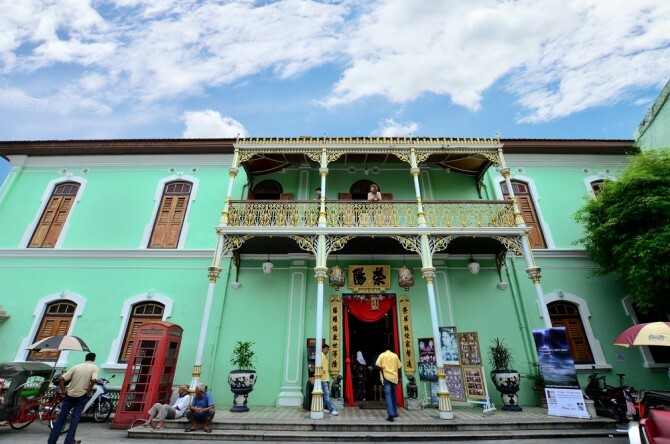 This Peranakan museum is housed in one of Penang’s heritage mansions and has over 1,000 antiques on display. 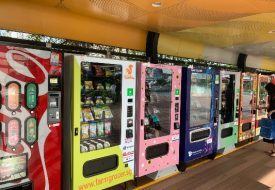 Singaporean hawker food versus Malaysian hawker food, who does it better? Head to Georgetown in Penang or Jalan Alor in Kuala Lumpur to judge. 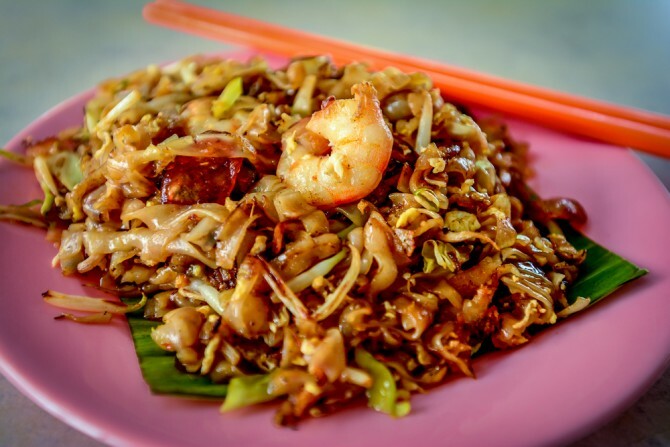 Some must-tries in Penang are Char Kway Teow, Assam Laksa and Curry Mee. As for Jalan Alor, be sure to try the grilled Chicken Wings from Wong Ah Wah, Malaysian style Hokkien Mee and Pan Mee. 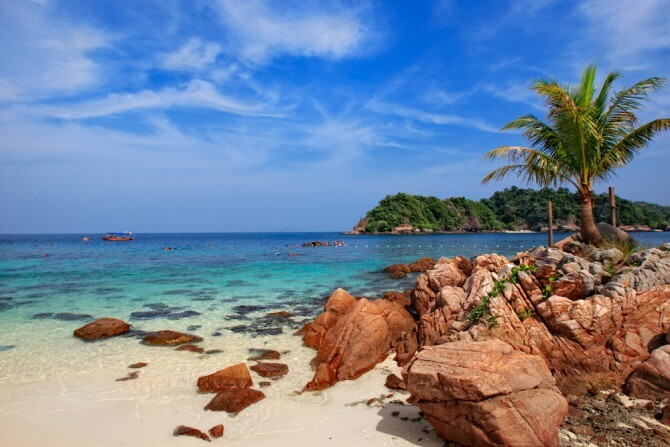 Malaysia has no shortage of beaches. Grab a spot under a large umbrella and spend the rest of your day basking in the sun. One of the most popular beaches is Tengah Beach, the longest beach in Langkawi. Unlike other beaches in Langkawi with touts trying to sell you Jet Ski packages every three metres; Tengah Beach is quiet and peaceful. 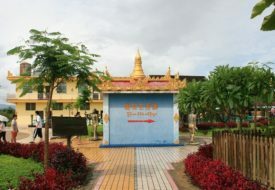 There are also spas nearby for a relaxing beach massage. 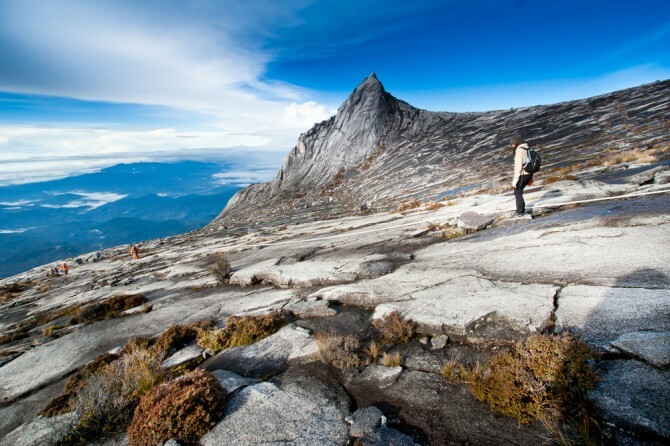 The highest mountain in Malaysia, Mount Kinabalu is one of the easiest peaks in the world to conquer, even for beginners. The trek to the summit and back takes approximately two days. Start the eight-kilometre climb from Timpohon Gate and stay overnight at one of the guest houses at Laban Rata. Wake up early to head to the summit in the morning just in time to catch the sunrise. 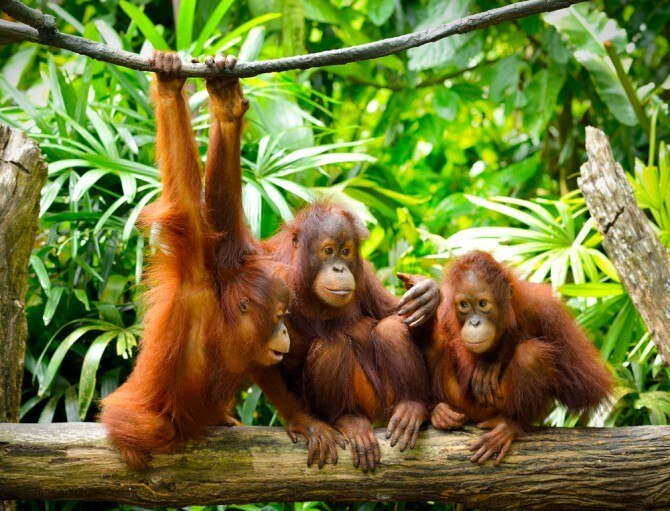 Sepilok rehabilitation centre is one of the biggest orangutan sanctuaries in Malaysia. The sanctuary houses about 75 endangered orangutans that roam freely within the forest reserve. Catch a close up look at these shy creatures during feeding time, or if you’re lucky they might appear next to you as you explore their new habitat. 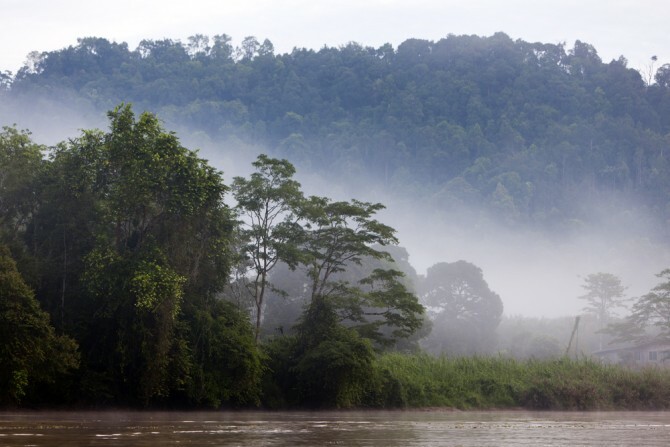 Kinabatangan River is the longest river in Sabah and home to one of the world’s most diverse ecosystems. The Lower Kinabatangan forest is a renowned wildlife sanctuary where exotic species such as Proboscis monkeys, Sumatran rhinos and Asian elephants roam free. To catch a glimpse of these rare animals, join a river safari tour and discover the rich ecosystem and abundant wildlife Kinabatangan has to offer. The next time you’re planning a quick getaway, look no further than the stunning sites our closest neighbour has to offer. A good mix of nature, culture and fun, Malaysia definitely warrants multiple trips beyond Johor Bahru and Kuala Lumpur.